I’m going on holiday in a few weeks. While I’ve organised LITERALLY nothing else, I already know what books I’m taking with me, because, you know – PRIORITIES! Because I’m a booknerd, reading in a new location is SO EXCITING, and I absolutely love shutting myself off from the internet for a few days and spending some time with my family! 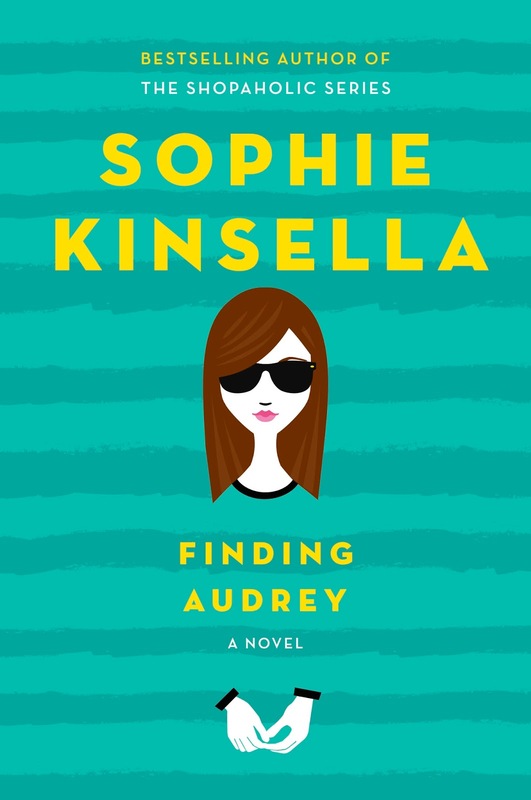 If you haven’t read Sophie Kinsella’s Shopaholic series, what are you doing with your life? I ADORED her books when I was younger, and her YA debut, Finding Audrey, looks SO GOOD! I am really excited to read a book that explores mental health in a realistic way and also just read Sophie’s excellent writing style again. 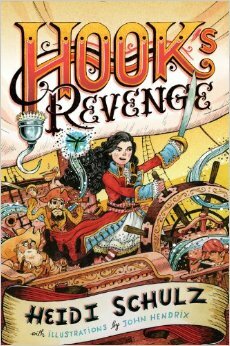 “Twelve-year-old Jocelyn dreams of becoming every bit as daring as her infamous father, Captain James Hook. Her grandfather, on the other hand, intends to see her starched and pressed into a fine society lady. When she’s sent to Miss Eliza Crumb-Biddlecomb’s Finishing School for Young Ladies, Jocelyn’s hopes of following in her father’s fearsome footsteps are lost in a heap of dance lessons, white gloves, and way too much pink. This book contains THREE things I look for in literature: 1) PIRATES 2) HEADSTRONG HEROINE and 3) DID I MENTION PIRATES??? 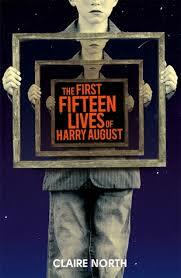 I am completely and utterly in love with the cover of this book, and I cannot wait to read it. I read the first of this super cool time traveling series last holiday, and I’ve been saving the sequels for this trip, mainly because I am going to BINGE READ them. 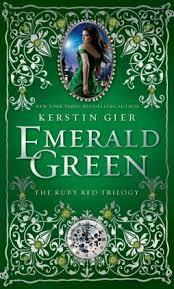 This series is a great YA fantasy trilogy – it’s exciting and has a twisty turny plot, the world building is amazing and there’s a swoonworthy love interest. “Emilia and Teo’s lives changed in a fiery, terrifying instant when a bird strike brought down the plane their stunt pilot mothers were flying. Teo’s mother died immediately, but Em’s survived, determined to raise Teo according to his late mother’s wishes-in a place where he won’t be discriminated against because of the color of his skin. But in 1930s America, a white woman raising a black adoptive son alongside a white daughter is too often seen as a threat. Elizabeth Wein is one of my favourite authors – she wrote the beautiful Code Name Verity and Rose Under Fire. 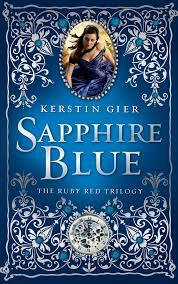 She has a way of conjuring up the past so wonderfully and as a reader, you are completely immersed. 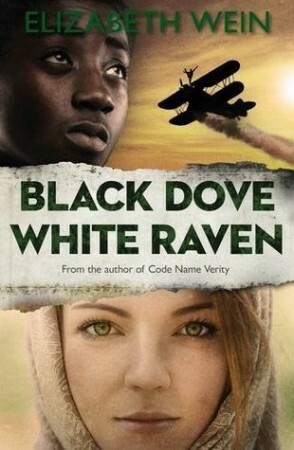 I lovelovelove Historical Fiction, and I am really excited to read Elizabeth’s latest book. I don’t actually know very much about this book – the cover and the title and the synopsis intrigued me, and I feel like I haven’t read Science Fiction in ages, so I brought it! “No matter what he does or the decisions he makes, when death comes, Harry always returns to where he began, a child with all the knowledge of a life he has already lived a dozen times before. Nothing ever changes. DOESN’T THIS SOUND SO COOL?!! The concept of this book is so unique and intriguing, so I have a feeling I’m going to love it. I have to say this is the book I’m probably most excited to read! First of all, the cover is AMAZING. Second of all, suffragettes – I’ve never read a fiction book about suffragettes and I’m very interested in that area of history – I have a feeling this book will blow my mind! I am really having to force myself to not read it before I go on holiday! 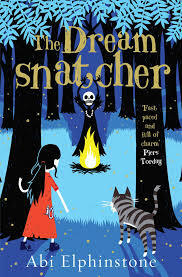 “Twelve-year-old Molly Pecksniff wakes one night in the middle of the forest, lured there by a recurring nightmare – the one with the drums and the rattles and the masks. The Dreamsnatcher is waiting. He has already taken her dreams and now he wants her life. 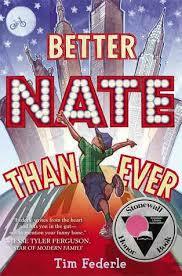 This is a middle grade fantasy, so it’s pretty much my perfect book! This looks like so much fun & I can’t wait to read it. I started reading this when I was revising for my exams, but then I realised this book was something special, so I decided to finish it when I could give it my full attention! “Sophie May has a secret. in her little village, living with her mum and working in the local teashop. comfort of her life into Billy’s glamorous – but ruthless – world. I have a confession: I’m slightly obsessed with Giovanna Fletcher. She seems so cool and so sweet and so so talented. And she writes books – so obviously I HAVE to read them. 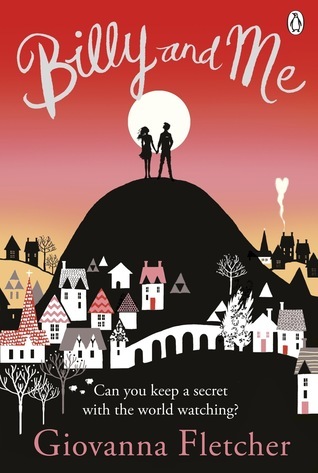 This book looks great – I’ve been meaning to pick up something romantic for a while now, so Billy and Me seems perfect. “Kyle Keeley is the class clown, popular with most kids, (if not the teachers), and an ardent fan of all games: board games, word games, and particularly video games. 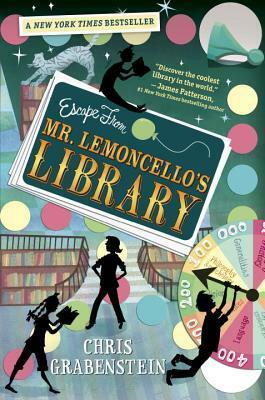 His hero, Luigi Lemoncello, the most notorious and creative gamemaker in the world, just so happens to be the genius behind the building of the new town library. I brought this because it had the word ‘library’ in the title and I am a massive library geek. Then I saw the comparisons – Charlie and the Chocolate Factory and A Night in the Museum and I just KNEW this was the book for me. This looks so cute and adventure-y and cool and I cannot wait to read this. So, those are the books I am planning to stick my head in when I’m on my holiday! I will post reviews/thoughts when I get back. Have you sorted your summer TBR? 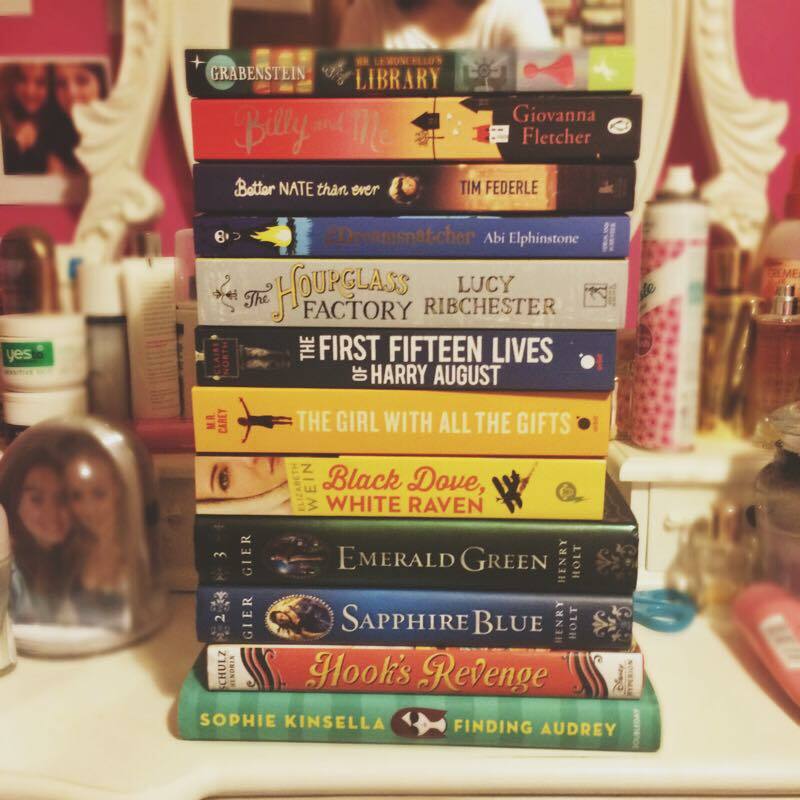 Have you read any of these books – what did you think? 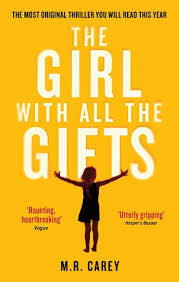 I’ve also been hearing good things about The Girl With All the Gifts and also want to read it. I guess you’ll have to let me know how it it. 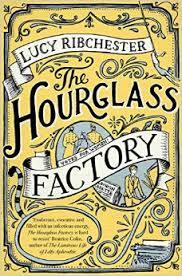 The First Fifteen Lives of Harry August does sound interesting as does The Hourglass Factory!